iSpy Phonics helps mums and dads teach their kids the first step in reading by helping their kids learn whilst playing. Add a photo, add a voice tag and have some fun! See the video of kids having fun while learning with iSpy Phonics here. iSpy Phonics has been developed in conjunction with a British speech and language therapist to ensure educational accuracy. It covers each letter in the alphabet and four additional common consonant sounds. Each sound is illustrated individually and has a clear photograph of an everyday object accompanying it. 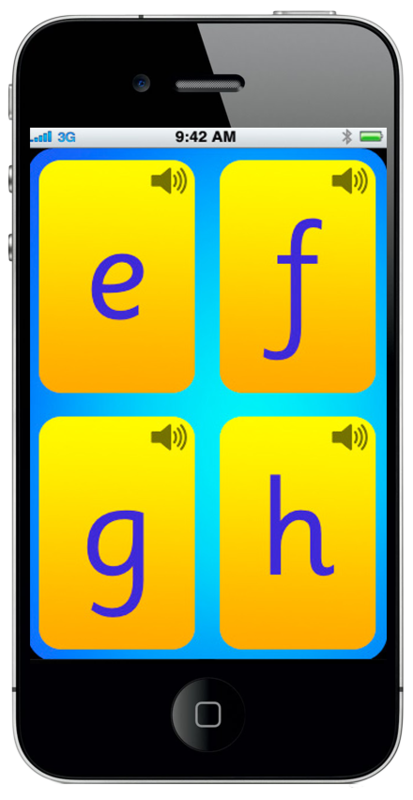 The app contains a phonic sound recording for each letter that can be repeated as often as a child needs to help them remember it. This ability to repeat sounds, words and see familiar objects helps children to learn phonic sounds easily and speeds up their reading. Try iSpy Phonics on iTunes now.